For Zak Skinner, 2017 was a whirlwind year. At the age of just 18, he stepped out into the London Stadium for the biggest event of his life so far, the World Para Athletics Championships. At his first major event, he finished fourth in the T13 long jump after jumping a personal best 6.64m (-2.0), which had kept him in the medals until American Isaac Jean-Paul snuck into bronze medal position on his final jump, with a leap of 6.84m (-1.8). 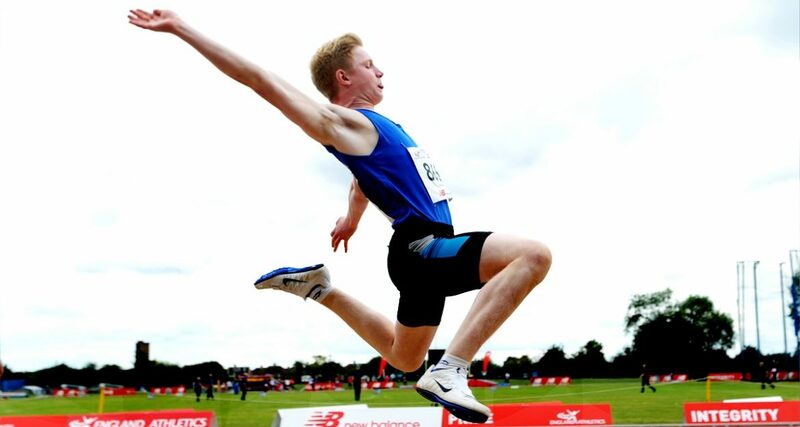 That was followed by being offered a place on the British Athletics World Class Programme (Paralympic Podium Potential) after his showing in the capital, identifying him as an athlete with serious potential to win medals for Great Britain & Northern Ireland at the Paralympic Games and World Championships. Skinner is still finding last year difficult to describe but hopes to continue competing in major events and arenas as he bids to stamp his authority as one of the top names on the circuit. “It was the best experience of my life,” he said. “It was everything you think it could be and more and I can walk away and say I was fourth at my maiden World Championships, I loved it all. “Not only competing but the whole atmosphere, everyone makes you feel like part of the team, you may be new but everyone knows your name and you’re having a joke with them. “I was nervous for the events but once I got out there it was like ‘I’ve done this thousands of times before’, you just have to soak it all up and having my family and my school friends come to watch was amazing. That helped to fuel the fire and give me motivation to go on and do more. “It’s an honour to be part of the programme,” he added. “To have been recognised by your national governing body as having the potential to win medals at the Paralympics, it’s something which you can’t put into words. Fast forward to now and Skinner has started studying at Loughborough University and has stepped up his training at the National Performance Institute under the watchful eye of Aston Moore, who has worked with some of the best athletes and para-athletes in the country. Olivia Breen & Stef Reid (training partners of Skinner), Ashley Bryant, Nathan Douglas and Louise Hazel are just some of the names that have thrived under his coaching and Zak is hoping to be next to make his mark. “It’s been a massive learning curve and we still have a long way to go which is only good news. I have complete faith in Aston, because he’s been through this so many times with so many others and has such a strong CV of athletes. “If you do something right and he says ‘that was good’ then you know he’s happy. It’s a very good training environment and so is the relationship he has with all his athletes. “Liv and Stef have been key in helping me to settle in and step up my training. They’ve been not only great training partners but great friends. Having athletes of their calibre that have been in the sport for such a long time is priceless. When he competes, Skinner is often followed by his family, including his father, the infamous England & Lions flanker Mickey Skinner, or ‘Mick the munch’ as he was affectionately known for his no-nonsense tackling and aggressive style of play on the field. He used to coach his son on the sidelines at rugby but now is confined to the stands, watching his son in action, but still tries to advise him as he would when he played rugby. “He’s been to a lot of competitions with me and he always tells me the same things he’d used to say before I came on the pitch at rugby, which is surprisingly helpful. He still doesn’t know the full ropes of the athletics world but I’m teaching him slowly. Skinner is classified as a T13/F13, for athletes with a visual impairment. He has a form of ocular albinism, meaning he can still see objects, but not the details. It also means the long jump board comes at Skinner incredibly quickly making it imperative that his stride length and judgement are all spot on as there is no time to make adjustments in his run-up. “When I’m on the runway I don’t see the board and if I didn’t know the pit was there, I probably wouldn’t see it. We have to work so much on rhythm and timing. “I have to be able to feel that I’m in the rhythm when I’m running and constantly work on my timing and spacing so that I know I’m going to be there and it becomes about working more consistently. Skinner’s focus for 2018 is getting himself in the best possible condition as he builds up towards the carrot dangling in-front of every athlete, the chance to represent the British team at the Paralympic Games in Tokyo in 2020. Sooner on the horizon for him is the European Para Athletics Championships in Berlin this summer, which he wants to make his mark in. Skinner is hoping to take his first major medal in Berlin in August but wants to make sure he is in the best possible form heading into the Championships. “This year is more of a personal development year. I want to be improving both my long jump and on the track. I want to go to the Europeans and medal in long jump for sure, that would be my first international medal and it will definitely stamp my mark on the scene. “When it gets to 2019 and Tokyo, that’s where I want to be turning up and medalling. I want to be on the start list and have other athletes thinking ‘Zak’s here, we’ve got some heavy competition, we’ll need to turn up today’.